Legacies: will controversial fees system be pursued? 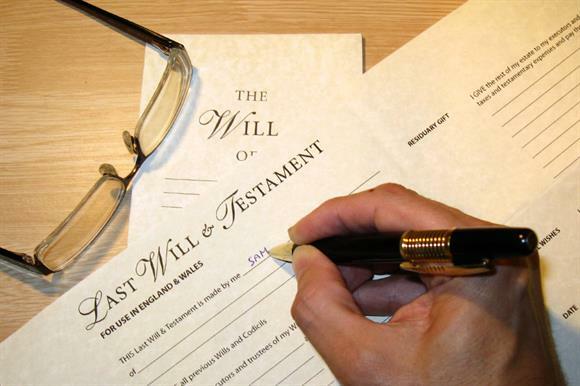 Experts fear that the government will revive controversial reforms to probate fees, which could cost the sector millions of pounds a year in lost legacy income. Earlier this year, the Ministry of Justice proposed abolishing the existing £215 flat fee for probate applications and called for the introduction of a banded structure based on the value of estates. The new system would have entailed a £500,000 estate incurring a probate fee of £4,000. According to the Institute of Legacy Management, charities could have lost £18m a year in legacy income if the probate fee reforms were introduced. In April, the statutory instrument covering the reforms did not pass through parliament in time before the snap general election, and the proposals were shelved. But Third Sector understands that the statutory instrument is dormant, which means it could be resurrected in the new parliament in its existing form and submitted to a vote in both houses of parliament. When asked whether the reforms would be revived, a spokeswoman for the Ministry of Justice said that the government would set out its position on probate fees "in due course". Chris Millward, chief executive of the ILM, said: "We, along with many others, were pleased the proposals were scrapped. At the time, we asked the Ministry of Justice to confirm this issue would not resurface after the election. If it is now to backtrack, we – and our members – would be disappointed and concerned. "This has the potential to reduce income for charities by £18m a year at a time when many in the voluntary sector are already squeezed and struggling to meet increased demand for their vital services." Andrew O’Brien, head of policy and engagement at the Charity Finance Group, said: "It is important that the government gives clarity on this issue and the confusion of the snap election isn’t used to reintroduce this measure through the backdoor. "The impact on the sector could be significant and this hasn’t been thought through by government. It is vital that the new Minister for Civil Society is able to communicate effectively with the Ministry of Justice and protect donors and charities." A report released in April by the Joint Committee on Statutory Instruments, which scrutinises statutory instruments laid before parliament, said the probate fee reforms should be referred back to parliament amid concerns that the changes were an "unexpected use" of existing powers to set fees above cost-recovery levels. Nicola Evans, charities counsel at the law firm Bircham Dyson Bell and chair of the Charity Law Association, said: "It is worrying that these proposals, which would cost the charity sector millions, may yet be revived. They have rightly been criticised by a parliamentary committee, and I hope the new government will take the opportunity now to listen to the multitude of concerns and think again." Daniel Harris, partner in the charity legacy team at the law firm Stone King, said: "We had hoped the government’s plans had been shelved, but instead it has ignored the results of its own consultation process and of the Joint Committee on Statutory Instruments, which likened the increase to a new tax. "Our concern is that the increase will disproportionately and adversely affect charities, reducing the funds available to support their objects."